Sessions are at 32 Union Square East by appointment only. Home and Office calls are available. Manhattan only. Please wear loose, comfortable clothing. Kindly give 24-hours notice to change or cancel an appointment without charge. The Miller Meridian Method is a unique approach to whole-body healing that incorporates insight meditation with focus on specific points along the body to enhance and encourage the proper flow of subtle Qi-energy. It is a progressive method that releases emotional, physical and energetic restrictions in the body, which create pain and imbalance. 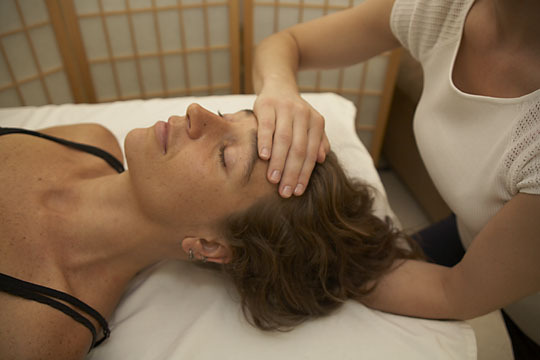 Founded on the healing principles of Meridian Therapy, Shiatsu, Sotai-Ho and Cranial-Fascia-Work, Miller Meridian is an evolved, integrative healing system and therapeutic process of mind-body-spirit communication. Miller Meridian Method uses the location of the “Qi or Ki” energy channels or meridians, the acupuncture points and their functions. This is an important difference when compared to traditional Swedish massage techniques that emphasize muscle, lymphatic and blood circulation. The approach activates a calm, meditative mental state by gently contacting the meridian channels of Chinese Medicine. The practitioner connects with the physical body as a means to teach the individual how to still his or her mind and to experience single pointed concentration. As a Shiatsu-based modality The Miller Meridian Method uses traditional Eastern practices of Qi-energy cultivation. Shiatsu is known world-wide as the art of acupressure. Most people associate Shiatsu with massage, but actually it is quite different. In Japan people seek out a licensed Shiatsu therapist for health reasons rather than pleasure and it is considered a form of medical treatment. Research in Japan, confirms that the Shiatsu method of applying pressure to specific acupuncture points is very effective in activating the parasympathetic nervous system and improving the tone and function of the muscles, nerves, blood vessels, lymph nodes, endocrine glands and internal organs. In addition, it has been shown that Shiatsu assists the body in eliminating toxins and metabolic waste. As a result, Shiatsu is effective for a wide range of problems, including hypertension, headaches, dizziness, irritable bowel syndrome, muscular or skeletal pain, insomnia, nausea, diarrhea and other gastro-intestinal disorders.